Economists expect an improving U.S. economy in 2014. Historically, small capitalization companies outperform the broad market averages in the expansionary phase of the economic cycle, simply because they can grow their businesses faster than large companies in defensive sectors, such as utilities. 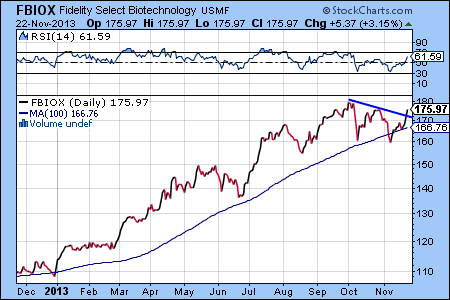 Our favorite investment in this space is the Fidelity Low-Priced Stock Fund (FLPSX). FLPSX has returned 37.10% since November 26, 2012, when FidelitySignal.com issued the buy signal. FLPSX has a truly outstanding long-term track record since its inception in 1989 with an average annual total return of 14.55%. Not surprising that Morningstar rates it five out of five stars. FLPSX normally holds at least 80% of assets in stocks priced at or below $35 per share, which typically includes small to medium-sized companies. U.S. equities have been making new highs almost daily and 2013 is clearly shaping up as one of the strongest bull markets of recent market history. 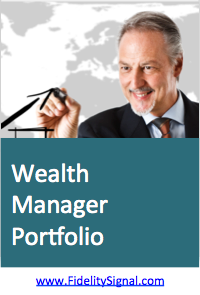 But how dangerous is this market for investors looking to commit new capital? 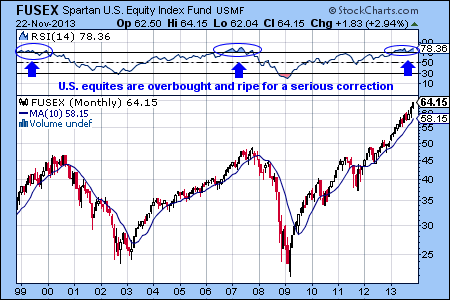 The chart below shows the 15-year performance of the Fidelity Spartan U.S. Equity Index Fund (FUSEX) using monthly bars. 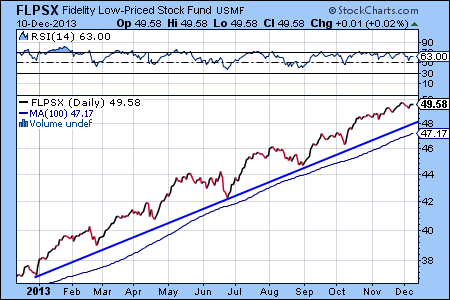 This long-term chart shows that the great bull market of 2013 is still intact and has advanced without any serious interruption since December 2012. However, a closer look at the RSI indicator (a technical indicator that measures overbought/oversold conditions) on the top of the chart shows an overbought condition. While the bull market can continue its positive momentum for weeks or months, U.S. equities are increasingly vulnerable to a serious correction or even a crash. One of the weakest sectors of the stock market is real estate, according to the ETFnext.com economic cycle indicator. 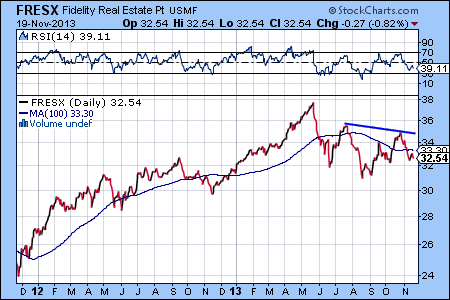 Not surprising that the Fidelity Real Estate Portfolio Fund (FRESX) shows a weakening chart pattern. FRESX has moved below its 100 day moving average, which is another bearish sign. While it is possible for real estate stocks to bounce back to the top of the trading range, we would look for growth somewhere else in the coming weeks.